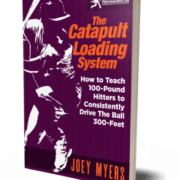 But I’ve been working on getting the new book, The Catapult Loading System, published on Amazon these past 4 weeks or so. With the New Year typically comes New Year’s resolutions. Tackle more of the tough questions – via video – my readers have submitted through the emailed survey (I have over 350 of them!!!!). Rest assured, it’s going to be a good year for your hitters. 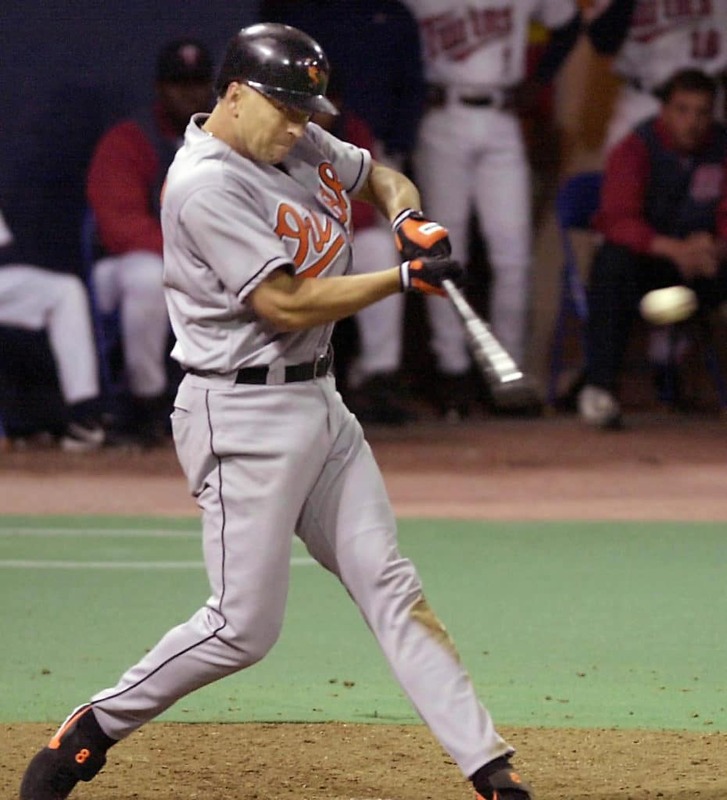 A hitter’s timing is like a wave, building slow and early, picking up momentum, then crashing with force. If you didn’t catch this post, then please CLICK HERE. I did this post a few years ago, but after sharing it on social media a couple times, it became the “village bicycle”. Varied Reaction LIVE Toss Timing Drill. 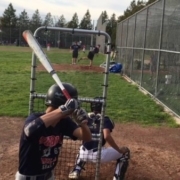 In my opinion, timing is more important than effective hitting mechanics. 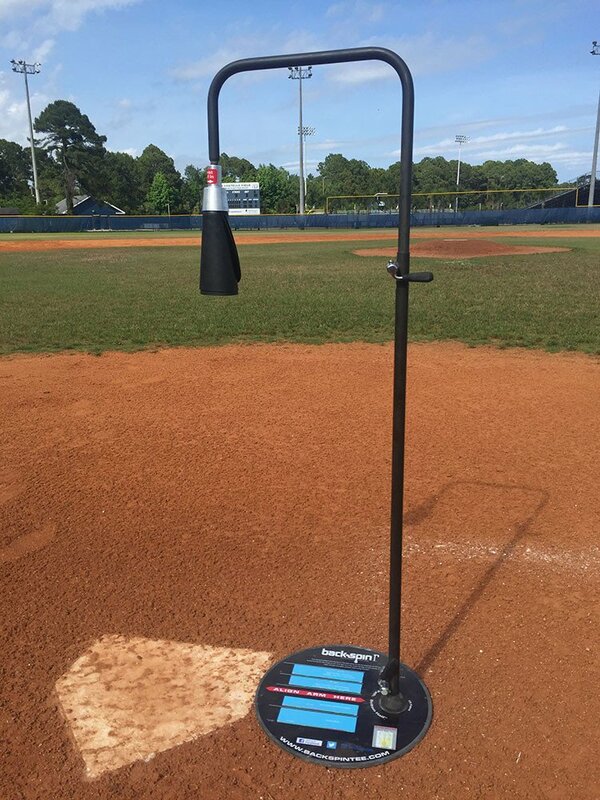 Because you could have the most effective mechanics in baseball or softball but if you can’t make timing adjustments, then you will not last long in the sport. 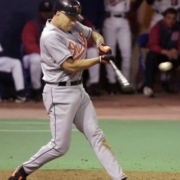 Many coaches/instructors I highly respect in their knowledge of hitting, don’t believe you can teach timing. My hitters are drilled from the beginning on timing. They’re frequently quizzed on their ability to adjust their timing. And their timing gets better, oftentimes within three to five 5-swing rounds. The key is using the two drills [videos] included in the above link. 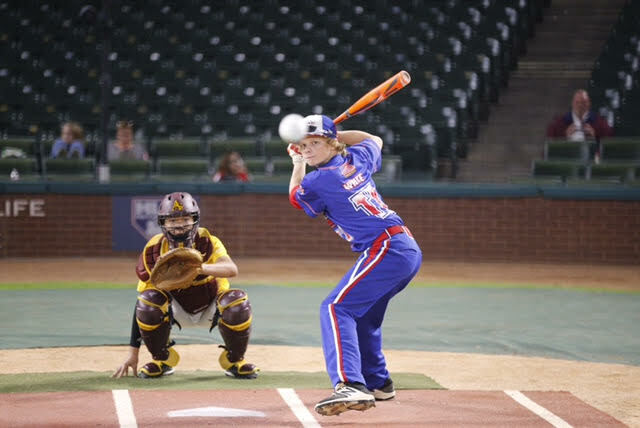 #2: Blaze Jordan (14u): 6-Ft, 217-Lbs Hits TWO 500-Foot Moonshots, But…Did You Catch The Performance Of The Small Slugger That Beat Blaze Jordan? 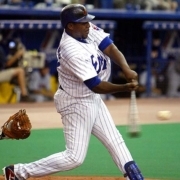 I remember seeing everyone ooooo-ing and ahhhh-ing over 14 year old, 6-foot, 217-pound Blaze Jordan on Facebook about the two 500-foot monster home-run derby shots he hit at the Texas Rangers Ballpark in Arlington. But nobody was talking about how 14 year old, 5-foot 7-inch, 130-pound Hudson “The Hawk” White hit 11 consecutive homers in the same home-run derby, beat Blaze Jordan, and came in second overall! 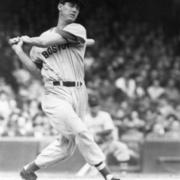 Not to mention, the average homer Hudson hit was 398-feet. On Facebook, people actually wanted me to dissect Blaze’s swing, and NOT Hudson’s! Hudson is tripling his body-weight in batted ball distance – 130-pounder hitting the ball 400-feet…wouldn’t you want to see what he’s doing? If you didn’t catch this monster post, then please CLICK HERE (20-min read for average reading speed). I did this post at the beginning of 2016 and coaches LOVED it, garnering over 4,200 Likes on Facebook! To say this post went viral was an understatement. 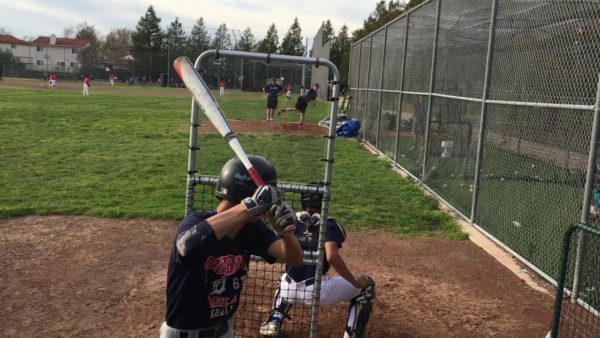 The main reason I felt I had to write it was the dialog the two Backspin Tee co-founders, Taylor and Jarrett, shared with me in their conversation with a pair of college coaches (from same school) at an ABCA conference a year or two ago. Excluding Hit & Runs and Move Runner Over scenarios, WHY the heck are we teaching our hitters to hit the top half of the ball, when that’s what pitchers want hitters doing?! I make many more arguments in the above linked RANT, but I think the above dialog puts the argument as a whole to bed. By the way, over 8,000 Backspin Tees have been sold over the last couple years and only a dozen have been returned. CLICK HERE to see how a swing experiment I ran turned out between the Backspin Tee and a regular tee. 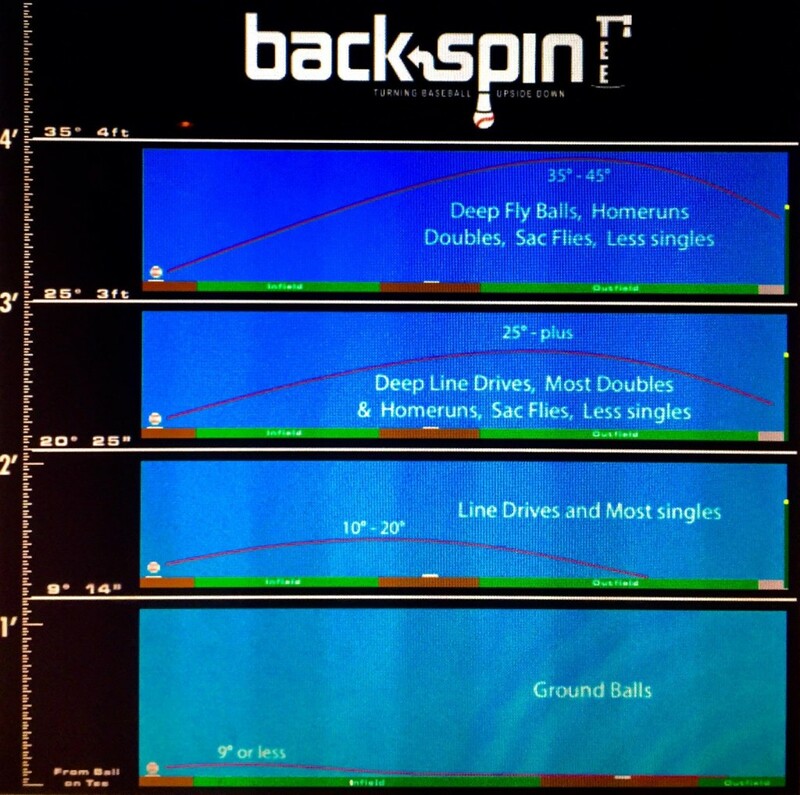 And if you haven’t invested in a Backspin Tee yet, then please CLICK HERE. 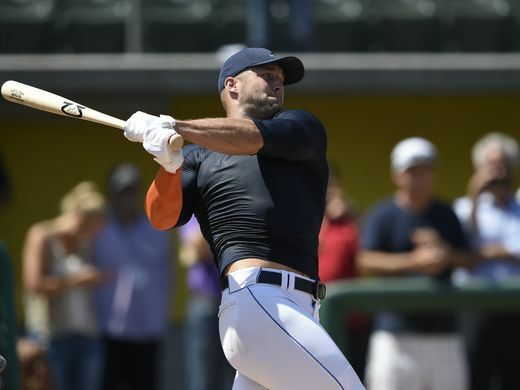 Tim Tebow Hitting Analysis: Get To The Big Leagues Without Playing College Or Pro Baseball? I wanted to take you BACK TO THE FUTURE!! 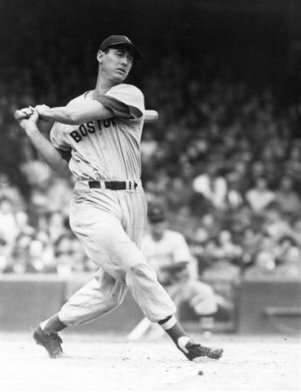 We all know the quote by Ted Williams that hitting a baseball is one of the single most difficult things to do in sports. FP Softball ladies included. Do you remember Michael Jordan hitting a double in an April 1994 MLB exhibition game…? “…he was quitting because he couldn’t develop at the rate he wanted due to complications caused by the baseball strike”. Or how about one of the best cricket players in the world, Kieran Powell, trying to make it to the Big Leagues…? Or how about Shaq O’Neal’s Versus show, where he took on Albert Pujols in a Home Run Derby for charity…? …and time will tell if Powell’s determination to be a Big Leaguer will continue. Now we have another high profile athlete jumping into the quest for the Big Leagues, but this time a football player. 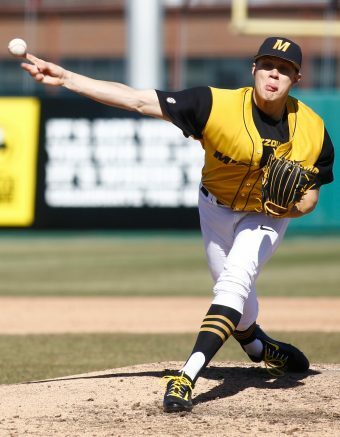 The NY Mets just signed him to a Minor League deal (CLICK HERE for this Cut4 article). Athletic Position – triple flexion at the hip, knee, and ankle. Head Position at Impact – no sign of breaking the One-Joint Rule. Knee Action – gets and stays shorter at landing and through the swing, definitely can get under the ball. Limited forward momentum for such a big body – too much muscle use. 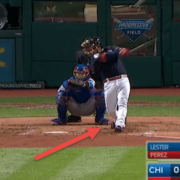 Abbreviated barrel path – he gets decent extension post-impact, but he’s too short to the ball. This may hurt him the most. 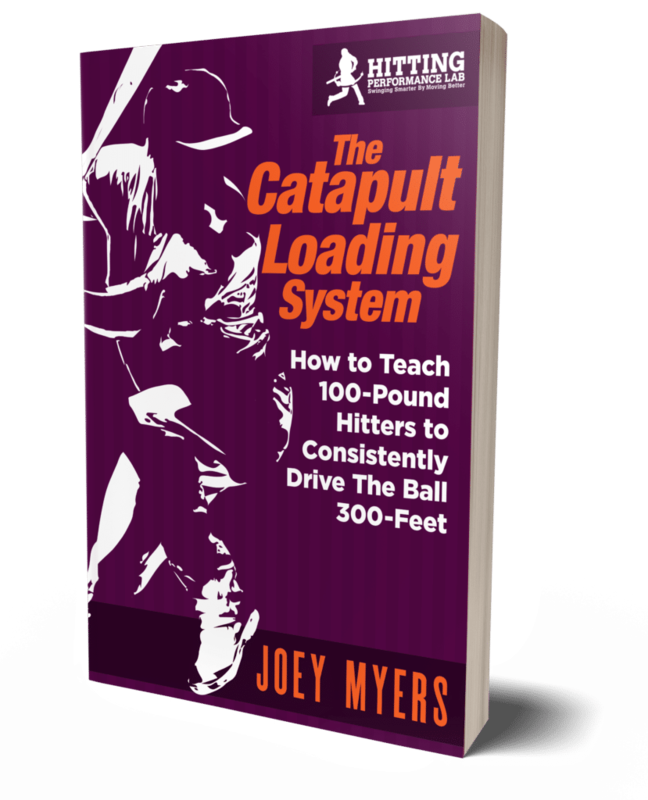 Catapult Loading System (CLS) – minimal showing numbers to pitcher, downhill shoulder angle, and hiding hands. Heard “Keep Your Eyes On The Ball!” OR “See The Ball Hit The Bat!”…? Well, we’re about ready to debunk both of these well worn coaching cues by sharing the results of a scientific study. I recently presented the study to my Toastmasters club as a “Technical Paper”, and we recorded it so I could share the findings with you. Sorry, I wasn’t mic’d up, so the audio isn’t the best, but I think you’ll get the message. CLICK HERE for the Powerpoint slides I used for the speech. The study findings will SHOCK you. There was one Powerpoint slide I accidentally skipped over during the speech, and you can view the information on elusive slide #11 in the above-mentioned Powerpoint link. 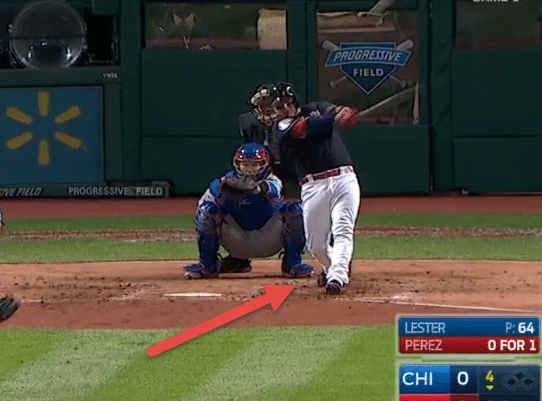 Slowest pitch for hitter’s eye not to fall behind would be 21-mph assuming no wind and thrown at a 45-degree angle. To see the ball hit the bat? Would need an anticipatory saccade*…jump from first 1/3 of the plate to last 1/3, but you’d miss the middle 1/3 distance to plate. *Saccade suppression – look at your image in mirror, look at your left eye, then look at right eye…did you see the eyes move? Process that turns off visual system during saccadic eye movements…otherwise, we would think the world is flying around us. 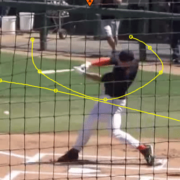 Hitter uses predictive abilities to track the ball the last 1/3 of ball flight…using peripheral vision. That I found myself falling into an 0-2 hole quite frequently. No matter what the pitch was, or where it was located. In hopes that with future at-bats was I would land somewhere in the middle. A good friend of mine Bob Hall, whose son Quin (a physical incarnate of Bo Jackson), had just finished performing at an MLB scouting camp in Canada. Quin was about 15 years old at the time, and Bob shared the advice Quin received from one of the leading scouts at this camp. 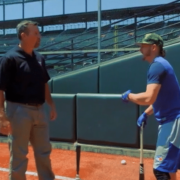 My goal with this video post is to give coaches a practical strategy to use with your hitters (that I use with mine), which will give them a solid game plan at the plate. PLEASE NOTE: like anything else, you have to work with your hitters on this at practice, if they have any chance at getting better at it. What does a hunter do? When would we use this mindset against a pitcher? When they’re around the strike zone. This is how I dug myself into holes during my career. Like a snake, strike fast when a pitcher is around the zone. What does a fisherman do on the boat all morning? When would we use this mindset with a pitcher? When he or she cannot find the zone. 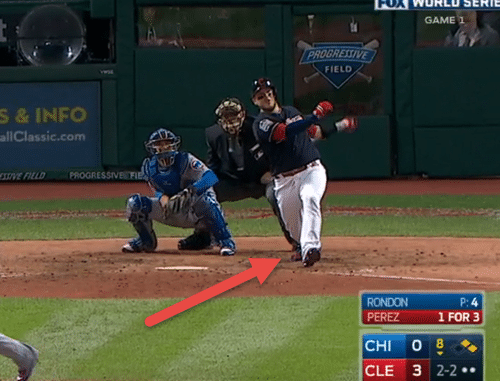 To know the strike zone. Because when the pitcher throws one over, the hitter MUST be trained to jump on it. Think about Barry Bonds from 2001 to 2004. According to Baseball-Reference.com, he walked a total of 755 times. That’s an average of 188 BB’s per year! He hit a total of 209 homers, for an average of 52 dingers per year, in the same span. Last time I checked PED use DOES NOT help with plate discipline. How about his consistency over that same time period? 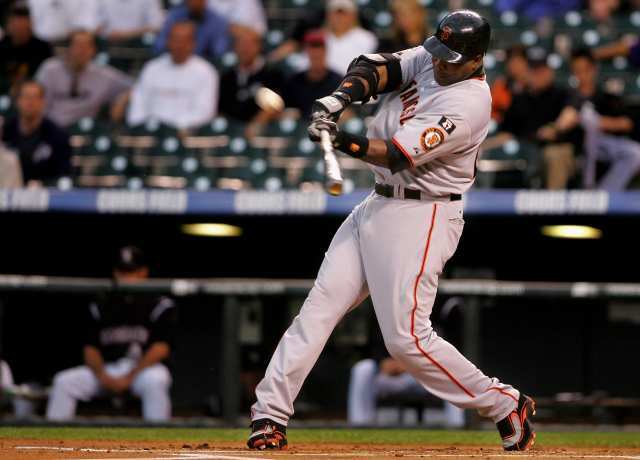 Bonds’s Batting Average over those four years, starting with 2001 was: .328, .370, .341, and .362 respectively. How about how many times he struck out? We have power hitters like Chris Davis and Ryan Howard routinely striking out 200+ times per season. By the way, his 162-game average strikeouts are 83. 83!!! Over 22-years in the Big Leagues! My point is, when Bonds got his pitch…he GOT IT! He knew how to be a ‘fisherman’. But can plate discipline be taught? It’s a muscle in the brain, and like any other body muscle, can be focused on and strengthened. Perry Husband’s Effective Velocity system.